Big, bold blooms create an instant tropical feel. 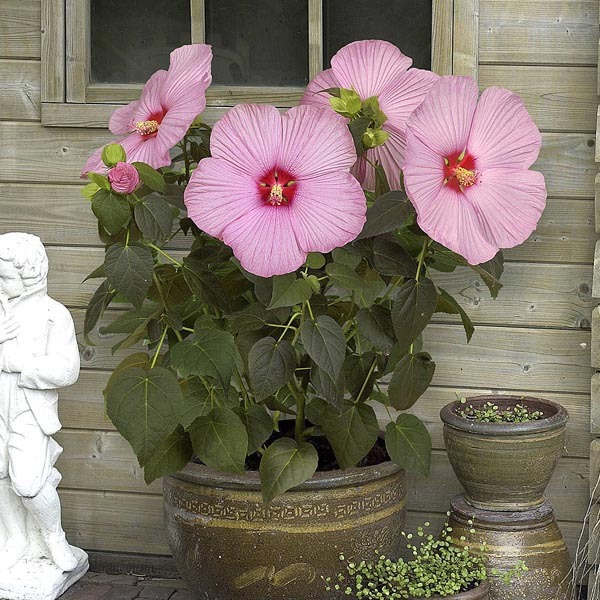 Plant in the garden or pot up several plants to create vibrant focal points around a deck, patio or pool. Sure to attract butterflies and hummingbirds to the garden. Great tropical-looking accent for containers or beds. Also makes a nice foundation plant near a house or bordering a raised deck. Water at least twice weekly. For best results, plant in slightly alkaline, fertile but well-drained soil. Keep soil moist, watering freely in dry weather. Remove faded flowers for best display.